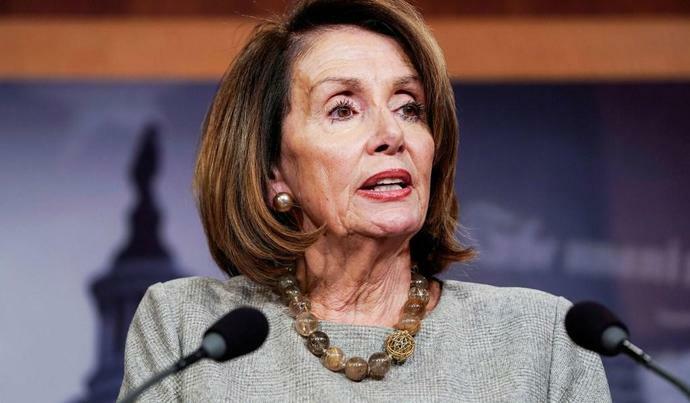 By a 49 percent to 42 percent margin, voters have more trust in House speaker Nancy Pelosi than in President Trump on "issues that are important" to them, according to a new Quinnipiac University poll. Women, minorities, Democrats, and independents all said they trusted Pelosi more than Trump when asked by Quinnipiac's pollsters. Trump's demand for a wall at the southern border was also unpopular, with 55 percent of respondents opposing the idea and 41 percent supporting it. A majority said they doubt a wall would reduce violent crime and drug flow to the U.S., and an even bigger majority was against Trump's idea of declaring a national emergency to start construction of the wall, with 66 percent opposed to such a move while only 31 percent supported it. Likewise, voters disapproved 68 to 26 percent of shutting down the government over wall funding. The five-week partial government shutdown that concluded Friday, the longest in U.S. history, was sparked by the president's demand for $5.7 billion in border-wall funding, which caused an impasse between Republicans and Democrats in Congress. The stopgap spending bill passed to end the shutdown only funds the government until February 15, which means the risk of another shutdown looms if lawmakers cannot reach a deal by then.